The Fast and the Furious - 4K UHD Review - ReDVDit! The Fast and the Furious is a 2001 American-German action film that was directed by Rob Cohen, produced by Neal H. Moritz and written by Gary Scott Thompson and David Ayer. It is the first installment in The Fast and the Furious film franchise. The film stars Paul Walker, Vin Diesel, Michelle Rodriguez, Jordana Brewster, Rick Yune, Chad Lindberg, Johnny Strong, and Ted Levine. The film follows an undercover cop named Brian O’Conner, who is tasked with stopping a group of unknown hijackers using high-performance racecars to hijack 18-wheelers. It is an international co-production between the United States and Germany. Inspiration for the film came from a Vibe magazine article that was titled Racer X, which detailed the illegal street racing circuit operating within New York City. Filming locations included New York City and New England, with a majority of the film being shot in Southern California. 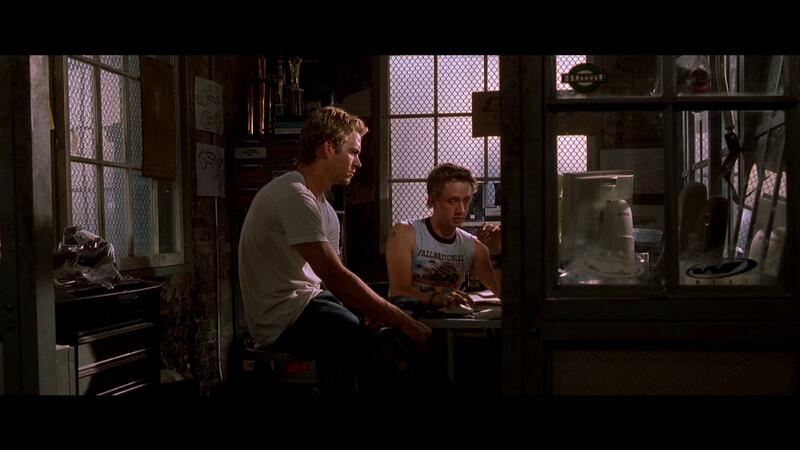 The Fast and the Furious was released on June 22, 2001, and ended up grossing $207 million worldwide from an estimated $38 million operating budget. It was later re-released on June 22, 2016, to celebrate its 15th anniversary. It has a 53% approval rating on Rotten Tomatoes, which called it “sleek and shiny on the surface” in its critical consensus. 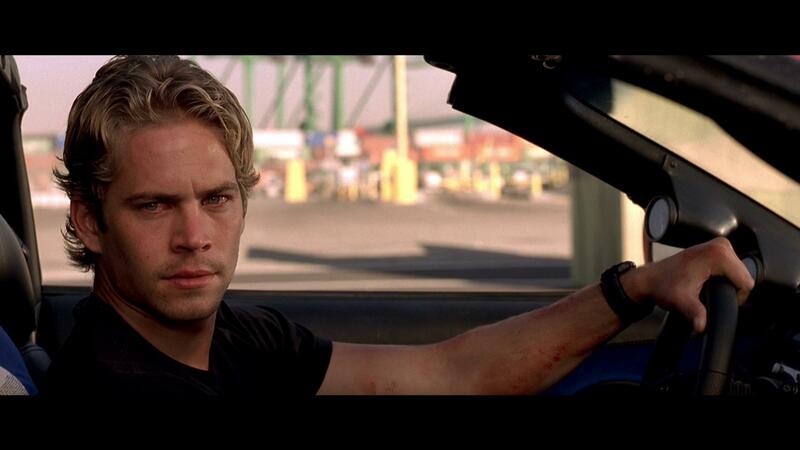 The Fast and the Furious launched a franchise of seven sequels, starting with 2 Fast 2 Furious in 2003. 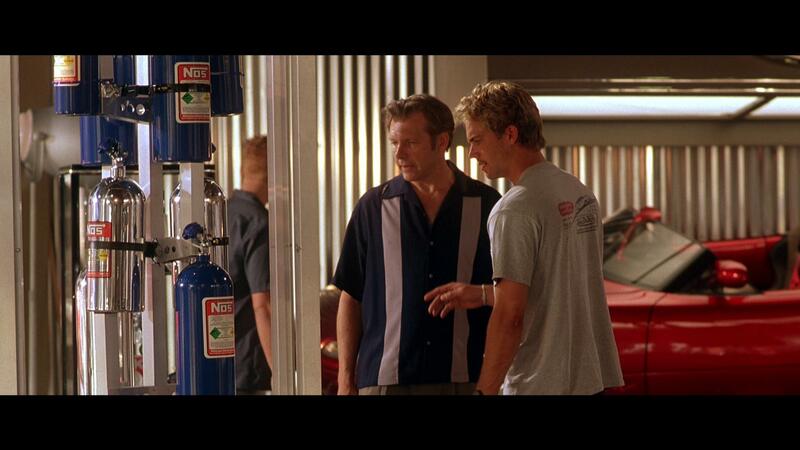 A gritty and considerably visually appealing experience, The Fast and the Furious is a movie that ranks among the various films that Michael Bay has made, and is one of the ultimate guilty pleasures that’s shared among many people. Creating the foundation that’s been repeated through 7 other movies, this is a movie that isn’t for anyone who watches movies for their artistic element. It’s a fun, care free experience that really does a great job at not being all too serious. 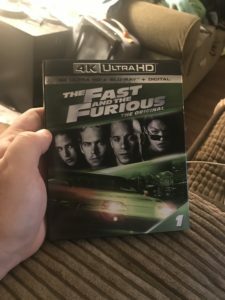 Presented in a native 2160p presentation, the 4K UHD release of The Fast and the Furious really looked phenomenal across my living room television. Giving viewers more intensity with the street racing scenes, and stunning visuals attributed with the scenic elements, this release is one that really allows for it to be a nice centerpiece for your 4K collection. With its utilization of HDR10, the color presentation is where this release ultimately shines as the colors are significantly sharper and more distinct than they have been with previous releases. With a freshly remastered DTS:X audio track, the UHD release of The Fast and the Furious ultimately gives those with home theater setups an extremely powerful experience. Pushing my personal receiver to its limits, the street racing sequences were the absolute best with this release as they not only offered a sense of immersion as the car sounds would rip through my speakers; but, with the transitions from channel to channel helped with the overall immersion aspect. The dialogue is spoken much cleanly than in previous releases, allowing for some elements of the script to be more noticeable than they had previously been. 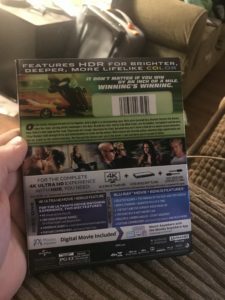 The 4K UHD release of The Fast and the Furious comes packaged in your standard two-disc 4K UHD amaray case. Within that case is the standard 4K copy of the movie, as well as the standard Blu-ray copy. The UHD does bear what I would call artwork; but it’s mostly because of the non-standard background colorization to the disc; while the Blu-ray doesn’t have any artwork on it whatsoever outside of the standard release text. There is a digital copy redemption pamphlet that’s been included, as well as a slipcover that’s available during the original pressing of the release that features the same artwork that’s been made available on the case. Overall, I was really happy to pick up The Fast and the Furious on 4K UHD. Sure, it receives a lot of negative criticism from folks who get tired of the fact that it’s basically the same concept repeated over and over; but in all honesty, this series is one of mine and my wife’s favorite guilty pleasures that we like to revisit every so often. The visual and audio presentation of this release were absolutely stellar and really helped to make us pay more attention to the movie as it progressed as we were curious if we were going to catch something we’d missed when we’d previously seen it. The special features on this release, while they’re mostly on the included Blu-ray, were a nice exploration of the storyline and the work that went into making this movie. If you’re considering this release for your collection, I would absolutely recommend this one because it certainly is a worthwhile upgrade over its predecessor. 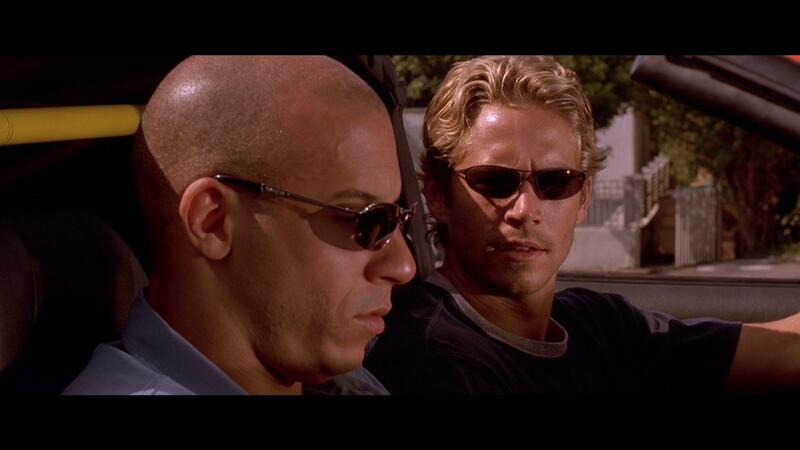 The Fast and the Furious is available on 4K UHD today.